Bigger than our generic ring trophy, this ring is just for baseball. 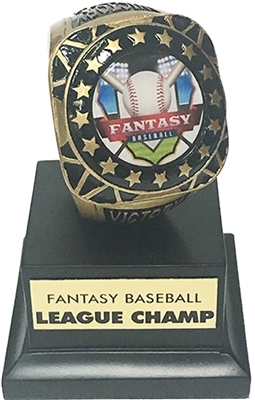 It features a fantasy baseball graphic where the bezel would normally be. Stands 5.5" tall and weighs 1lb. Sure to be our most popular trophy for 2019.